We are launching the second edition of our book ‘Indian Art and Culture’. India is one of the fewest countries in the world to have a glorious cultural past of more than 5000 years. The uniqueness of our culture is that it has elements of diversity and yet maintains a sense of unity. Another significant aspect of our culture is that it maintains a sense of continuity without any break from the Indus Valley Civilization till date. The preparation of an aspirant is incomplete without studying our cultural past. The new UPSC syllabus introduced in 2013 has given greater weightage to Indian Culture in Preliminary as well as Mains. This new edition has the contents as per the new requirements of Preliminary and Mains examination. Proper studying of the book will help you to score more marks not only in Prelims and Mains but also in interview. 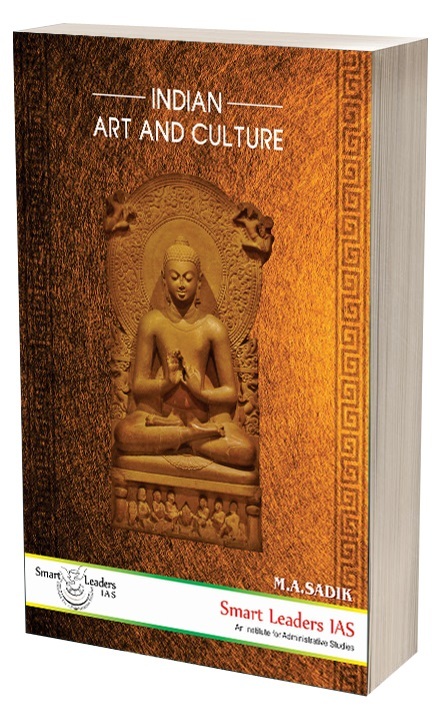 Preparing a comprehensive and synthesized study material for a diverse topic like Indian Culture is a laborious task. We have tried our best to provide simplified material without compromising the content. We have also added relevant pictures for better understanding. Use this material appropriately and achieve success in this examination.